The Greater Springfield Volunteer Fire Department is also seeking Fire Corps Non-Operational Citizen Advocate members to aid in the support of our operational members. The video below can answer some of your questions - contact us to answer the rest. 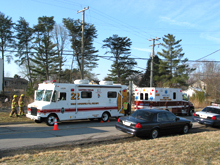 GSVFD operates one of several Canteen/Rehab units in Fairfax County. 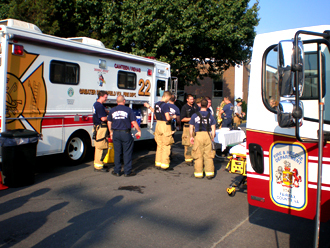 Known as C422 (Canteen 422) it provides much needed refreshments on major incidents and special events to both Fire/Rescue and Police personnel. 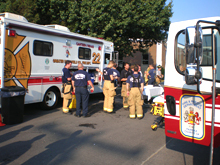 GSVFD FireCorps members are encouraged to sign up to to staff the Canteen/Rehab unit. It's a great way to see the action, meet a wide range of people and feel like one of the most appreciated folks around (everyone loves the Canteen !). 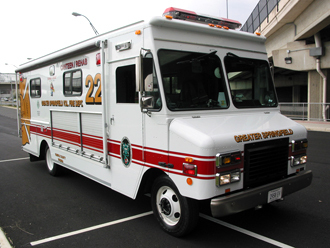 Greater Springfield Volunteer Fire Department is in Springfield, Virginia.